Growth in mobile gaming revenue tripled in just three months. It’s a small part of the group’s overall business, but the most important as users switch to handheld devices. While Alibaba rules mobile shopping, there’s enough to go round, and justify Tencent’s premium valuation. 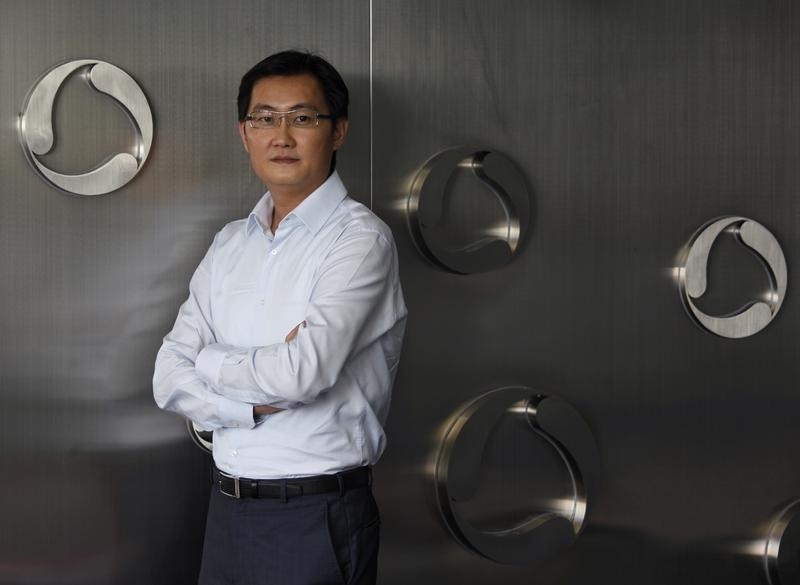 Tencent Chairman and CEO Pony Ma poses at the company's headquarters in Nanshan Hi-Tech Industrial Park in the southern Chinese city of Shenzhen during an interview with Reuters June 9, 2011. Gaming and social media group Tencent reported revenue of 18.4 billion yuan ($3 billion) for the first quarter of 2014, a 36 percent increase from the same period last year. Earnings jumped 60 percent year on year to 5.2 billion yuan. Revenue from online games and social networking, which Tencent calls “valued-added services,” accounted for 78 percent of the group’s total revenue in the same quarter. Online games revenue reached 10.4 billion yuan for the first quarter, representing an increase of 39 percent from the same period last year. Of that, mobile games, hosted in Tencent’s popular messaging app WeChat, hit 1.8 billion yuan for the same period. WeChat had 396 million monthly active users as of the first quarter of 2014. China’s online gaming market will grow by 29 percent in 2014, with revenue reaching 105 billion yuan, according to Credit Suisse estimates. Mobile gaming revenue is expected to grow by 92 percent in 2014.